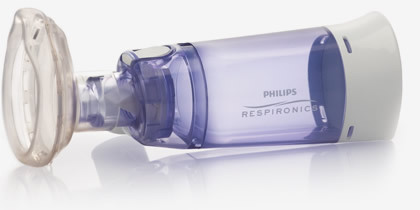 The LiteTouch mask fits onto the mouthpiece of a Philips Respironics OptiChamber Diamond valved holding chamber (VHC) and functions by simply touching the mask seal lightly to the patient's face. 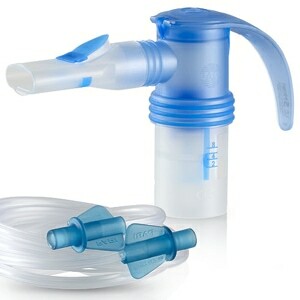 It is detacheable for easy replacement and cleaning. The LiteTouch's unique design features a clear, hard shell molded on to a soft-seal interface. 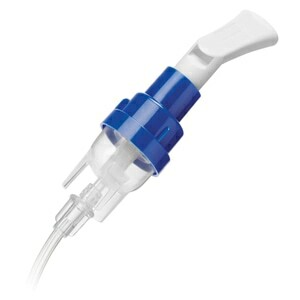 The soft-seal quickly and comfortably conforms to the patient's facial contours, providing a soft, secure fit for greater comfort as well as improved medication delivery when used with metered dose inhalers (MDI). SIZES: Three sizes of LiteTouch Mask are available: Large will fit most users from age 5 to adult; Medium will fit most users aged 1-5 years; and Small will fit most users from 0-18 months. Quality product and much cheaper than your local CVS. Fast, free shipping. THANK YOU!!! Exactly what I was looking for and needed for daughter. The shipping was fast and it was exact product my daughter uses. I will be purchasing in the future. Great. Exactly what we need it. Wish I had found this before! My doctor had prescribed the chamber awhile back to use with both of my inhalers. I recently decided to do research about the chamber itself and found this site and the mask. 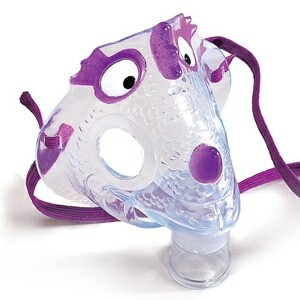 Now it feels like when I've used a breathing treatment at the doctor's office or the ER. Highly recommended! Service was good. Item came when promised. Great product. The size of the mask fits my little one year old perfect as well as my adult face. 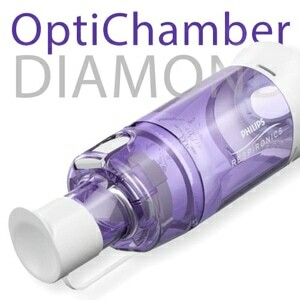 Fits perfect with the diamond chamber we already had. 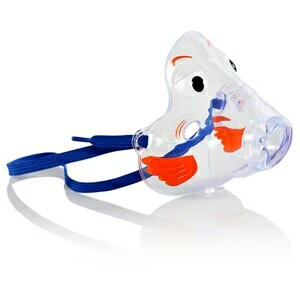 I've shopped around for the Optichamber mask and found direct home medical to be the most reasonably priced. I would definitely purchase from this site again.